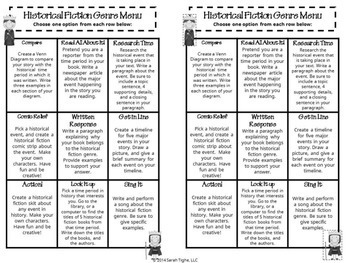 Students will practice their reading skills and understand the elements of the historical fiction genre with this activity menu. 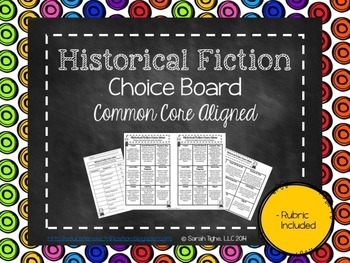 Use this menu while teaching your unit for a project based learning approach. 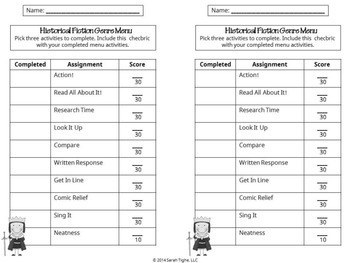 This menu is aligned with the Common Core Standards, and gives students time to work on projects independently. Use this during reading instruction and watch your students blossom! Please know that I truly want you to be happy with your purchase. If you ever have any concerns, questions, or comments about my products, please do not hesitate to contact me.